Looking for a career in Trucking? Great Home Time, Hourly Pay, and Exceptionally Maintained Equipment, are just some of the things McNay has to offer. 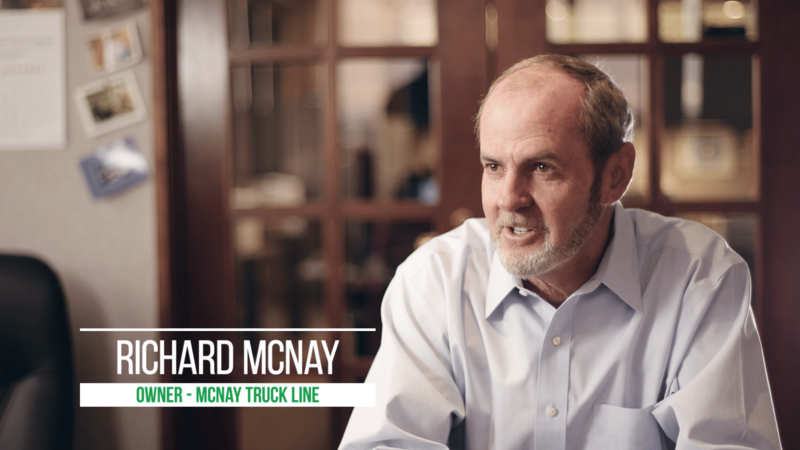 With over 40 years of experience in the Trucking industry, McNay has set the new standard for Trucking Companies. McNay Truck Line has been around for several years and love what we do. You can learn more about us by watching the video and if you have any questions feel free to contact us. McNay Trucking offers services in all your trucking needs. Need to move liquid food products? McNay Truck Line specializes in transporting dry bulk material in pneumatic trailers. We can move general freight! McNay Truck Line can transload dry bulk or liquid products from rail and barge to truck or vice-versa. We have a sanitary and dry bulk tank cleaning facility in Quincy, Illinois, to maintain McNay's fleet of tanks. WE WOULD LOVE TO HAVE YOU DRIVING FOR US.